On the basis of the Society’s work towards places of remembrance and memorial plaques in Berlin, in 2012 Aktives Museum assumed permanent responsibility for the Stolpersteine Coordinating Agency, established in 2005 and formerly under the direction of the Friedrichshain-Kreuzberg and Mitte district museums. 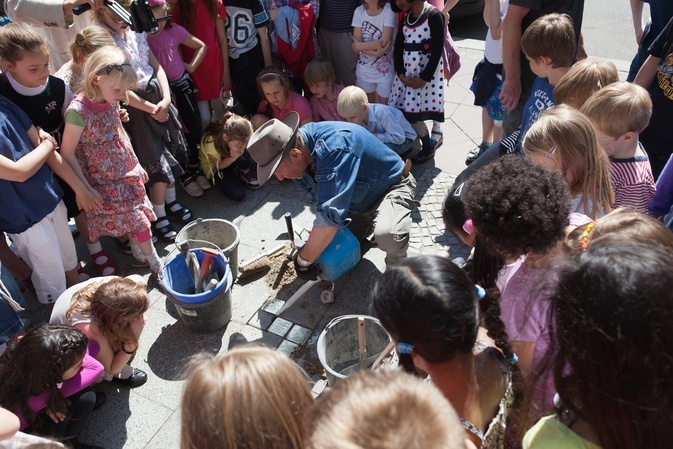 By autumn 2014, the sculptor Gunter Demnig had laid over 6000 of his stumbling stones in memory of victims of Nazism in Berlin and almost 50,000 across Europe. The Stolpersteine Coordinating Agency Berlin functions as a point of contact between the artist, local Stolperstein initiatives, sponsors and victims’ family members as well as being the place to go with inquiries about or applications to lay stumbling stones in Berlin. Visit www.stolpersteine-berlin.de to find out more about the life stories of the people commemorated by Stolpersteine, to initiate the laying of a new stumbling stone or to request support with educational projects. The coordinating agency can also be contacted by telephone at +49 (0)30 2639890 14. 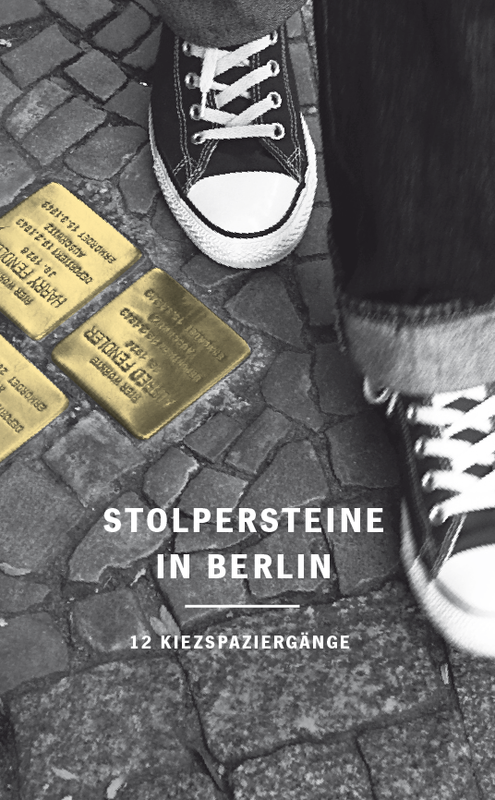 In autumn 2013, Aktives Museum published a guide to Stolpersteine in Berlin, “Stumbling Stones in Berlin. 12 Neighborhood Walks”, in cooperation with the Stolpersteine Coordinating Agency Berlin and Kulturprojekte Berlin GmbH, which is available for purchase from the office (price: 12 Euros). One year later we published a second volume with 12 additional neighborhood walks.